The associate director for Clinical Operations is appointed by and reports to the director of the Lurie Cancer Center. This position is responsible for ensuring that the outpatient Clinical Cancer Center facilities and programs are fully integrated with and support the research and education missions of the Lurie Cancer Center. The associate director serves on the Executive Committee and Leadership Group, playing a critical role in establishing the strategic direction, policy and priorities of the Lurie Cancer Center. 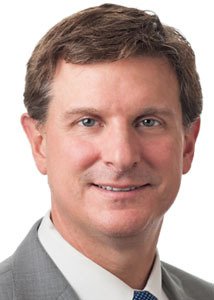 Jeffrey Wayne, MD, is chief of the Division of Surgical Oncology in the Department of Surgery and professor of Surgical Oncology and Dermatology at Northwestern University Feinberg School of Medicine. He is chair of the Committee on Cancer at Northwestern Memorial Hospital, where he is also chief of staff. He sits on the editorial board of the American Journal of Clinical Oncology and the Journal of Surgical Oncology. He is a member of several professional societies, including the American College of Surgeons, the Society of Surgical Oncology, the American Society of Clinical Oncology, the Association for Academic Surgery and the American Cancer Society. He is a member of the National Comprehensive Cancer Network (NCCN) Sarcoma Panel and has served on the NCCN Gastrointestinal Stromal Tumor Task Force. A five-time recipient of the Department of Surgery's Excellence in Teaching Award, Wayne's many awards and honors include the American Society of Clinical Oncology Merit Award (twice awarded) and the Compassionate Care Award from the Woman's Board of Northwestern Memorial Hospital. Wayne's research is primarily focused on the multimodality treatment of melanoma and soft tissue sarcoma, and he has been a principal investigator on several surgical trials in these areas. He also has an interest in surgical outcomes and has published numerous scientific reports on promoting quality cancer care.